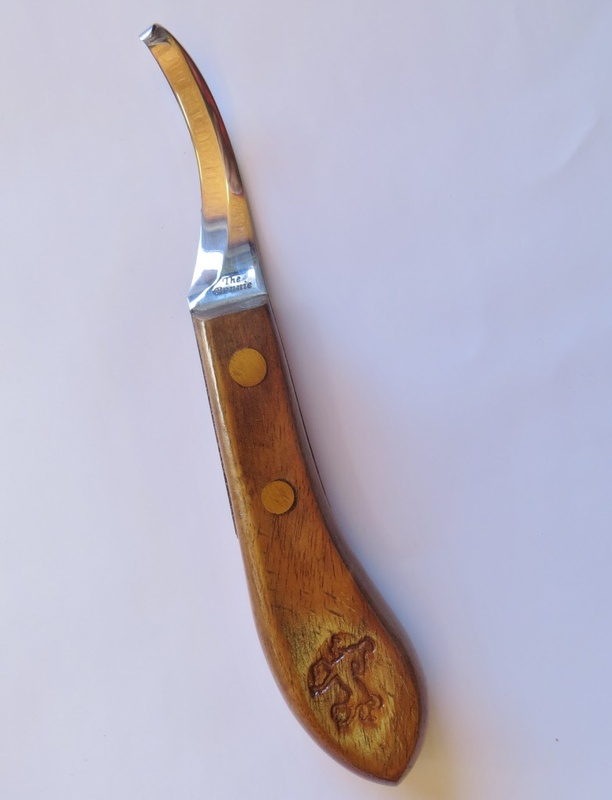 The Bonnie hoof knife features a sharp deep curved stainless steel blade. This knife sharpens well and holds its edge. 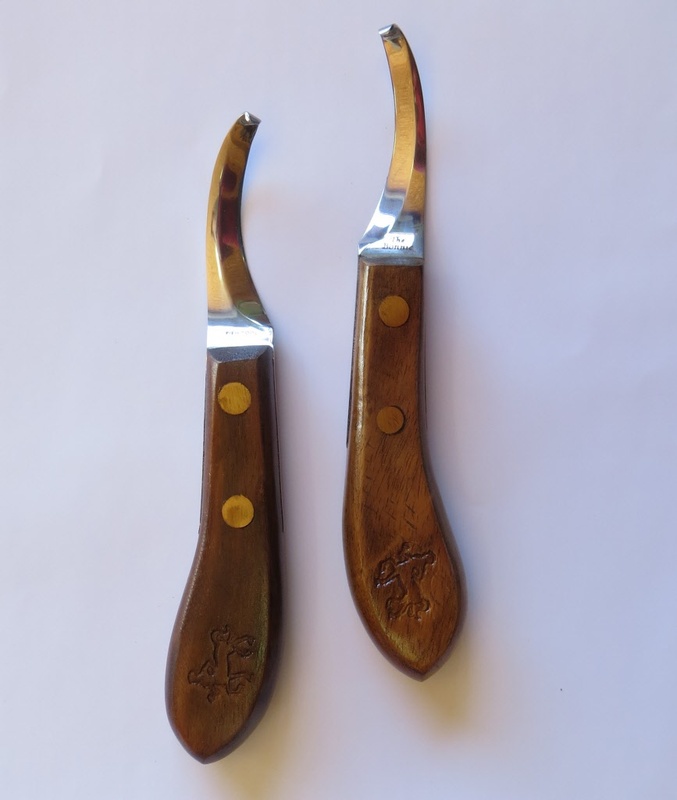 The handle is made of Indian Redwood and is varnished for a smooth long lasting finish.